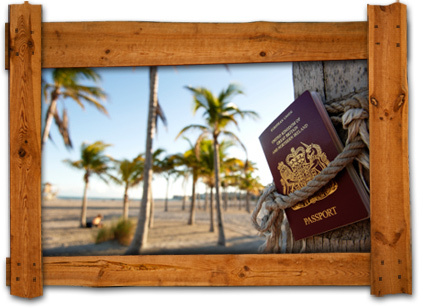 Make sure your passport is valid and that it will remain valid while you are on your trip. Be sure to have all of your travel documents/vouchers organized and readily available at a moment's notice. Confirm all travel reservations before you leave home. Such as: your flight and hotel stays. If you are an honors card holder with an airline make sure you also have these items readily available as well. When you take the time to organize all of these items it saves you time. Make sure someone knows all of your travel plans and has a copy of your itinerary. Including information such as: phone numbers where you can be reached, a list of where you will be on a day-to-day basis, flight times and flight numbers, etc... This person should also have a copy of your passport and any emergency information he or she may need to handle issues at your home while you are away. If you are traveling for a long period of time, have your mail held at the post office until your return. You will need to do the same with your newspaper delivery. The last thing you need to do is advertise that you are away by not picking up the paper everyday! Turn off the water in your home. You don't want to return home to a water emergency. Adjust your thermostat appropriately. You don't need to heat or cool the home as if you were there. Why not save the money and put it towards your next vacation. Inform your bank/credit card holder that you will be traveling. If not, the bank may assume your cards have been stolen. Banks often put blocks on cards having suspicious activity, such as charges from out of state. Take the time to call and confirm all of your reservations and planned activities ahead of time. This will alleviate any unnecessary surprises while you are traveling. We also recommend cleaning out the refrigerator and any food storage before your trip. You don't want to come home to a sticky growing mess. Don't leave home without taking out the trash as well. Don't forget about your four-legged friends. Kennels fill up fast during the summer months so take time to plan ahead so you don't have trouble finding a place for Fido. Also, give the kennel all emergency contact information. You will need to designate a friend or family member to be the contact for you while you are away. 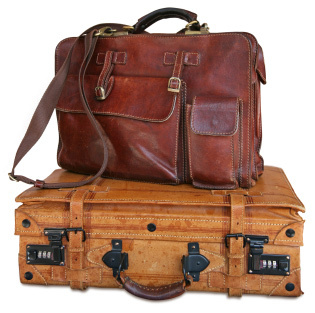 When traveling with a companion it is always smart to pack half of your items in each other's suitcase. Then, if one of your bags does not make it to your final destination you still have what you need to get by until your luggage is located. Travel light- Airlines are now charging if you have over a certain amount of bags and if they weight more than a certain amount. Try to pack light and pack as few bags as possible. If you are looking to reduce wrinkled clothing try rolling your clothes, not folding them. This technique saves space in your suit case and saves you ironing time while you are away! You may think you have everything you need when you walk out the door but, we all find that we have managed to forget the most basic items by the time we arrive at our destination. A few weeks before your planned travel, start making a list of your needs. As you go through the next few weeks you will be surprised by how many things you have added that you once had forgotten while making your original list. By the time you are ready to begin packing your list will be complete and nothing will be forgotten. Packing Checklist A general packing list has been listed below; although, all may not apply to your travel needs. Please choose as you see fit. Important Documents: Your BuyReservations email confirmation, Money, ATM cards, Credit cards and contact information for cards, Traveler's checks, Insurance information, Medical records, vaccination records, Drivers license, Membership cards (hotels, AAA, airlines), Travel guides, car rental information, E-tickets, BuyReservations.com Reservations, Cruise documents, Passport/Visa(s), Make photo copies of important information. Such as: License and Passport. Clothing and Accessories: Coat, Gloves, Scarf, Hat, Wide, brimmed hat, Rain coat, Walking shoes, Rain Boots, Hiking shoes, Water shoes, Shower shoes, Sneakers, Dress shoes, Sandals, Slippers, Socks, Pants, Shorts, Underwear, Long underwear, Belt, Shirts, T-shirts, Sleepwear, Light jacket, Sweatshirt, Sweater, Swimsuit, Swimsuit cover up, Jewelry, Watch, Dresses, Suits, Ties. Medications/Health: Prescriptions, First-aid kit, Bandages, Band-aids, Pain reliever, Anti-itch cream, Allergy pills, Cold medicine, Sleep medication, Vitamins, Supplements, Nausea/diarrhea remedies, Motion sickness medication, Malaria tablets, Contraceptives, Water purification method. Electronics/Gadgets: Camera, Underwater camera, Spare batteries, GPS, PDA, Walkie-talkies, Travel alarm clock, Converters/adapters, MP3 player, iPod, Video camera, Cell phone, Memory cards, Extension cords, Laptop and accessories, Don't forget chargers for all! Plane: Books, Magazines, Snacks, Earplugs, Inflatable pillow, Travel blanket, Eye mask, Quart size bag for liquid and gels, iPod, DVD player, Movies, Head phones. Car: Extra keys, Maps, Directions, Jumper cables, Pillow, Blanket, Water, First-aid kit, Ice scraper, Motor oil, Antifreeze, Windshield wiper fluid, Spare tire. Camping and Outdoor travel: Air mattress, Binoculars, GPS/Compass, Sleeping bag, Insect repellent, Tent, Water bottle, Lighter, Cutlery/dishes, Camping stove/fuel, Can opener, Umbrella, Flashlight, Sunscreen, Shortwave radio, Sunglasses, Beach bag, Trekking poles, Towels, cooler. Family: Car Seat, Stroller, Portable crib, Highchair, Portable playpen, Infant carrier, Childs toilet seat, Diapers, Baby wipes, Baby powder, Hand sanitizer, Baby soap, Baby shampoo, Swim diapers, Towels, Waterproof sheets, Changing pads, Nursing pads, Bottles, Sippy cups, Pacifiers, Formula, Juice, Bibs, Baby food, Food, Snacks, Extra clothes, Medicine, Gas relief, Pain reliever, Sun hat, Travel games, Books, Dolls, Toys, Children's camera, Stuffed animals, Pillow, Blanket, Playing cards, Coloring books, Crayons/markers, Video games, Portable DVD player, CD's/DVD's, Night light for children. Beach: Beach Bag, Beach Chairs, Beach Toys, Beach Umbrella, Beach Towels, Beach Blanket, Cooler, Fishing poles, Goggles, Flotation devices, Snorkel and fins, Sun hat, Sun glasses, Binoculars, Plastic bags for wet items-Water shoes, Sun block, Aloe Vera gel, body lotion-Antibacterial wipes, Swimsuit, Swimsuit cover-up, flip-flops, Brush/comb, Insect repellent, Lip balm with SPF, First aid kit, books, magazines. Miscellaneous: Chewing gum, Snacks, Pen/pencil, Note pad, Drinks, Travel journal, Address book, Addresses for post cards.